AntiVirus security apps really necessarily need for smartphones? Antivirus security apps is really necessary for smartphones? The very biggest problem for the smartphones are infected apps. 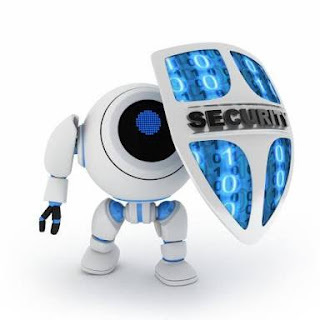 AntiVirus security apps really necessarily need.If suppose the application is Infected then infected apps can may be steal information from phones (like password,chats, contacts and notes) or disable them completely. More ever You should be very careful on giving permission to the apps which you are install. Whenever you are downloading an new app from Play Store or App Store, you are asked for some permission and you must go through all the permissions and uncheck whatever not required. If some apps example if you’re downloaded any games from play store then check the permission for that if the game have permission to read the contacts and message details then remove the permission for that games application because games never need your contacts and message details for playing games. That means it’s reading your all contacts and messages and sent to there server. Moreover never download a application from unknown website. Always make sure that your application doesn’t access anything useful. Always Make sure that you have the backup for your data. The hackers will try to access the data and file’s of your phone and delete but backing up will make you feel good. Most important thing is, you should never save your password secret question and answer on the phone especially the transaction related. Security is the most important to us. Most of people always concerns about the security. If you use the antivirus security application then that gives you some advantages and disadvantages. Is Antivirus Security App Necessary for Smartphone?Take a peek at our poll, and weigh in!